If you’re a small business owner, chances are you’re always looking for ways to keep expenses low. But unless you’re in dire straits, you’d probably prefer to do so without having to lay off employees. A dedicated, hard-working staff is a huge benefit to any company, and that’s especially true for small businesses, considering the costs of recruiting and training new workers. Fortunately, there are several ways to cut costs without cutting employees. 1. Scrutinize every single expense. Don’t overlook anything. Even the smallest expense can add up over time. Are you buying unnecessary office supplies that aren’t being used? Are you committed to expensive maintenance contracts that you rarely, if ever, actually use? Are you paying too much for rent? How about your phone bill or Internet service? 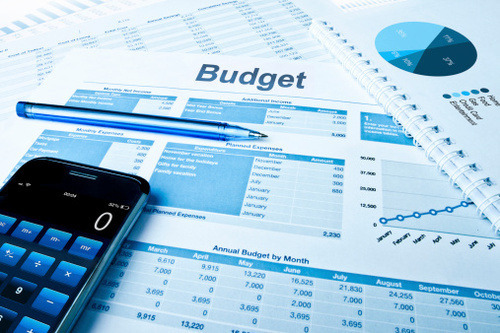 One of the best-kept secrets in cutting costs is to simply keep it in mind for every aspect of your business and don’t hesitate to make a change if it means saving money. The only way you’ll be able to scrutinize expenses is if you’re properly tracking and monitoring them. Find an expense tracking app or software that fits the needs of your business. 2. Add headcount through contractors. As valuable as your employees are, full-time workers are a huge expense. Fortunately, there are a seemingly endless number of people that contract out their services for everything from administrative support to management consulting. If you need additional staff, consider independent contractors. You’ll pay only for the services that you really need and only for the length of time you need them. You’ll also save the expense of having to pay for employee benefits (health, retirement, bonuses), not to mention payroll taxes. It’s also far easier, and far less risky, to let a contractor go versus terminating employment of an employee. Top websites to find contractors include eLance, odesk, Guru.com and Fiverr.com, as well as Craigslist. Be sure to check with your legal counsel to understand the laws surrounding independent contractors for your state, as there may be different rules on whether to treat an individual as a contractor or as an employee. 3. Always get three quotes. It’s tempting to go with the first quote for whatever product or service your business might need. While that may save you some time, it can also lead to overpaying. Whether it’s an Internet provider or roof repair, always shop around to make sure you’re getting the best deal possible. Keep in mind that price may not be the only determining factor. Referrals, reviews, quality of service and speed may also be factors that are important to you. The point is you won’t be able to make an optimal decision with just one quote. 4. Reduce inventory. One of the biggest mistakes that small business owners make is purchasing too much inventory. Storing a warehouse full of product that you can’t sell is a killer on cashflow. Unsold inventory may also lead you to have to sell at a steep discount for a loss, further crippling profits. Keep accurate historical records of your customers’ purchases so you can better determine optimum inventory levels for the future. Factor in seasonal effects to try and optimize even further. The ultimate goal is to have just enough inventory to meet your customers’ demands and no more. “Just In Time” may sound like a principle that only a Fortune 500 company can achieve, but even small businesses can reach that goal with planning and analytics. 5. Practice smarter marketing – not expensive marketing. For many years, marketing was a pricey proposition. Advertising meant taking out expensive ad space in trade publications or newspapers, or purchasing even more costly radio and TV time. But those days are gone. Now, you can market your company much more effectively online than you ever could before. A recent study by Hubspot suggests that by 2020, 85% of people will interact with companies without ever speaking to another person. Online marketing also makes it possible to close the loop and figure out which channels are converting to paying customers the best. Most online marketing allow for setting small budgets and pausing campaigns in real-time. Options include search engine Pay-Per-Click ads, social media ads, grassroots marketing in message boards or forums, targeted public relations outreach and viral marketing. 6. Proactive tax planning. For small businesses, paying taxes is never a once-a-year proposition. Most company owners pay estimated taxes quarterly throughout the year to ease the financial burden come tax time. Writing a large quarterly check should be sufficient motivation to plan with a qualified CPA smarter ways to reduce your tax burden. Less money to Uncle Sam means more money to purchase inventory, increase marketing spend or add headcount. For more complex tax issues, find a couple of recommendations from experts. The skill level of accountants and tax attorneys varies, just like for any service professional. For example, setting up and contributing to a defined benefit pension plan could lead to big tax savings, but there are many issues to consider. Only an experienced advisor with deep knowledge of small businesses and the tax laws will be able to properly guide you. 7. Eliminate tradeshow exhibits. Once upon a time, tradeshows were a great way for small businesses to obtain sales leads. Yet when it really comes down to it, most companies don’t actually run the numbers to figure out the ROI of tradeshows. The Internet may be more cost-effective overall at generating leads than live events. In fact, one study suggests that social media garnered a 100% higher lead-to-close rate than other marketing channels. Plus, you’ll be able to save all the significant costs associated with exhibiting, including booth space rental, booth preparation, airfare, hotel accommodations and time spent away from the office for you and your employees. The cost of one large tradeshow could easily fund an online marketing campaign for an entire year. Don’t want to miss out on big shows? See if there are private suites or tabletop spaces instead. 8. Grow through partnerships, not advertising. In this day and age, small businesses are working together more, knowing that they can be successful if they collaborate when there’s a fit. From sharing information to pooling your resources to save money on office supplies to promoting each others businesses, owners are realizing that there truly is strength – and profit – in numbers. Strategic partnerships will benefit your company in ways you might never have imagined. The right partner can help you achieve scale in far less time for much less money than traditional marketing might. Cutting costs in your small business isn’t hard. It’s simply a matter of paying attention to details every day and thinking creatively when it comes to business practices. Follow the tips in this article and you’ll be able to save money and keep your valuable employees on your payroll at the same time. Corey Owens is Co-Founder and Managing Partner for LendVantage. LendVantage helps good businesses become great by simplifying the way they access working capital.